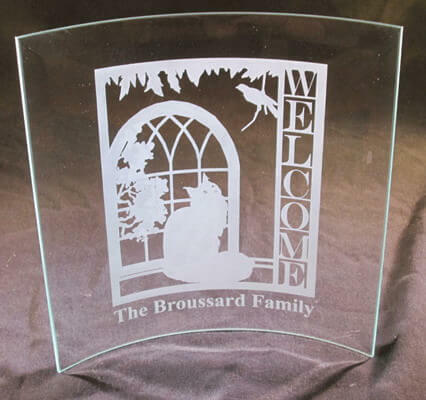 This is engraved with a 'Welcome' Cat and Bird design and is personailzed with your name. We have several other deisgns available; bear, cow, horse, French Bulldog, Golden Retriever, German Shepherd or Great Dane. Please email us at info@fantasyglassworks.com if you are interested in the other designs.